No options available for 'Add-ons' at this time. 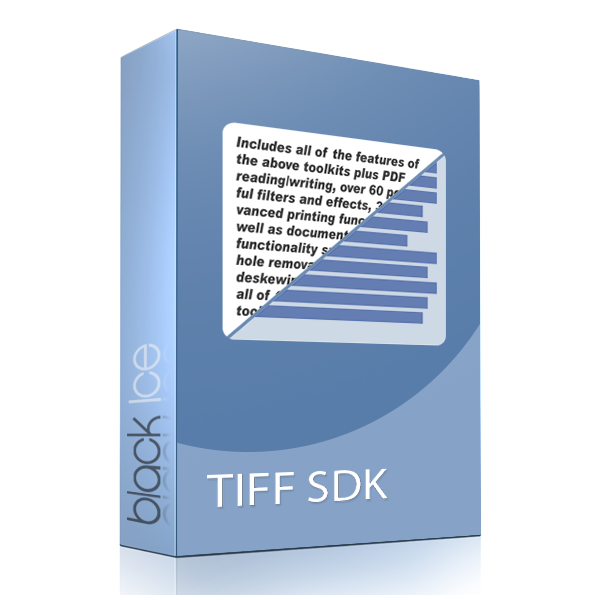 Receive FREE upgrades, transferable licenses and priority support. The Fax Cover Page Generator SDK/ActiveX control from Black Ice Software Inc., is a complete set of easy to use tools that enable software engineers to develop in a shorter timeframe; Fax cover page generator applications using ‘C’, C++, .NET and more. 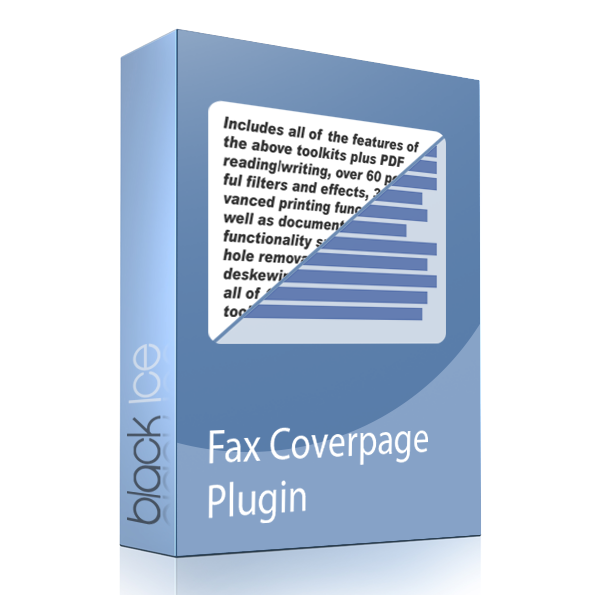 Create applications capable of automatically populating fields of a fax cover page. 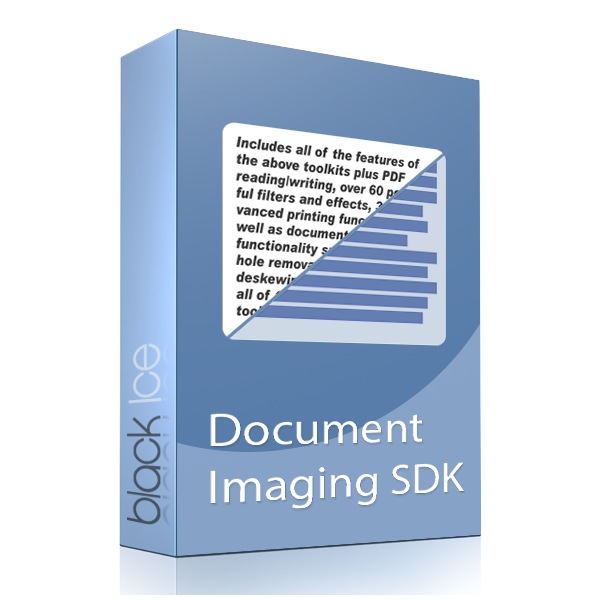 The Fax Cover Page Generator is available as an add-on to either the Image SDK/ActiveX or the Document Imaging SDK/ActiveX. Visual Studio 2005, and VB.NET 8.0 Support has also been added. Windows 10/8.1/8/7/Vista/XP Windows Servers 2012 R2/2008 R2/2008/2003 both 32 bit and 64 bit..